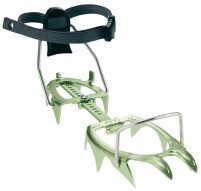 Crampons have a tendency to poke holes in expensive jackets or backpacks unless they are contained in a separate compartment. 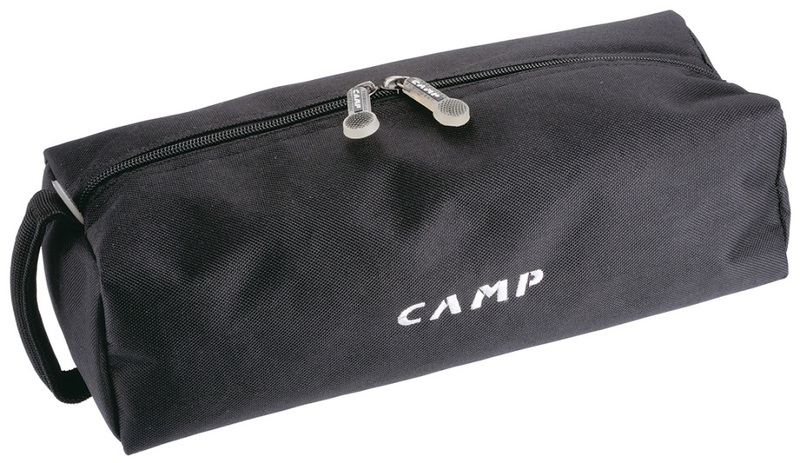 The crampon carrying case from CAMP will give you said containment. 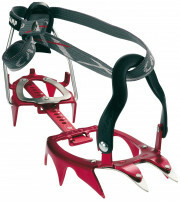 Zip open, deposit crampons, zip closed. This is not a magic bag so most likely when you unzip the next time, your crampons will still be there. The bag also has a handle in case you need to strap it to the outside of a full pack. 94 grams (3.3 ounces).